This post was sponsored by Pompeian. All opinions expressed on my site are my own. 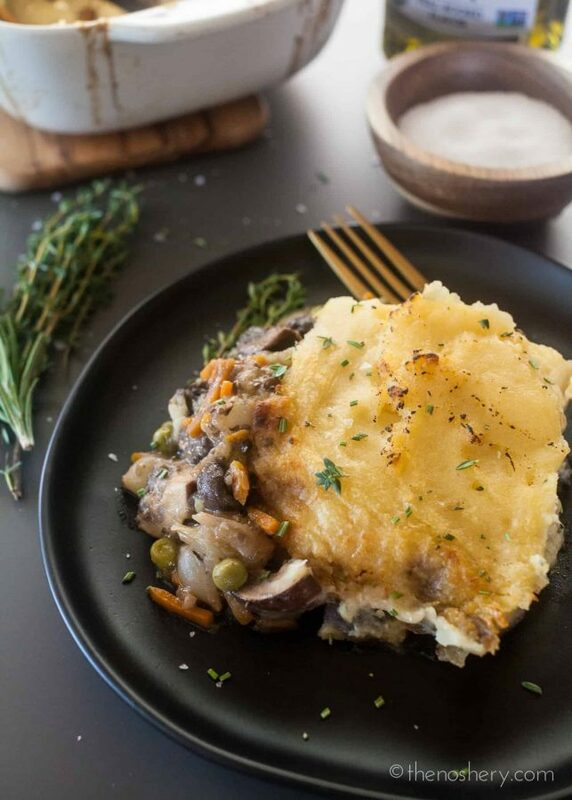 Mushroom Vegan Shepherd’s Pie | We are entering the transition of winter into spring. It’s that time of year when the weather can seem to decide what it wants to do. One day it’s 80 degrees and the next it’s raining or snowing. 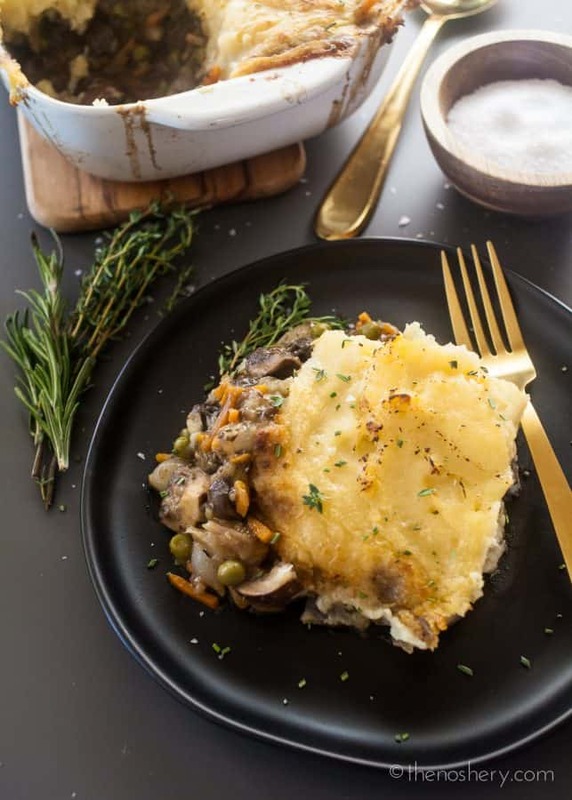 It’s that time when you aren’t quite ready to give up those hearty comfort foods that kept you warm all winter long.Today I am sharing one of the most hearty comfort foods ever created, shepherd’s pie. But, this pie has a little twist this is a vegan shepherd’s pie. Trust me you are going to love it! I made this shepherd’s pie for my sweet friends who are vegan. I wanted to come up with a dish that they could enjoy and my carnivorous husband would also eat. I thought to myself what is a “meaty” vegetable and the first thing that came to mind was mushrooms. While developing this recipe I knew one thing was for sure I was going to load this baby up with mushrooms. And it worked out wonderfully! Everyone enjoyed the shepherd’s pie and some (the husband) even went back for seconds. 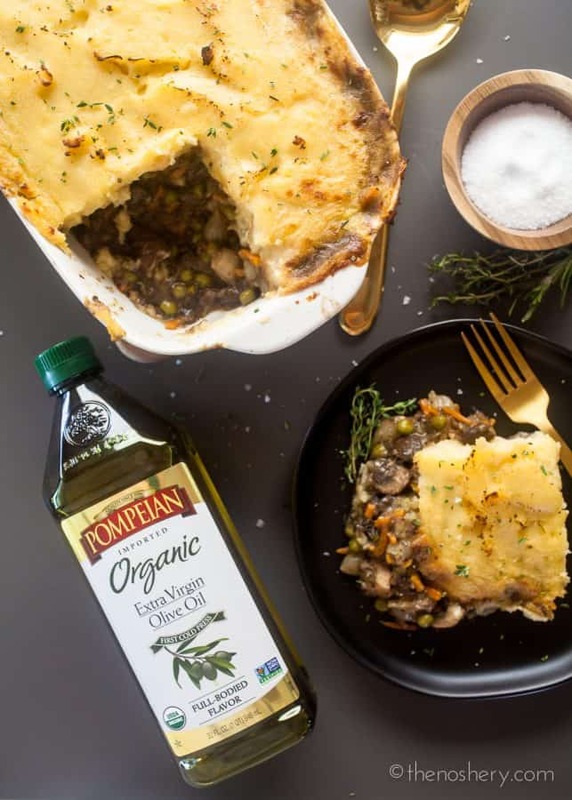 I cannot begin to express how happy I am with how this shepherd’s pie turned out but, I am equally excited to be partnering with Pompeian again this year! I just love Pompeian’s olive oils and vinegars. 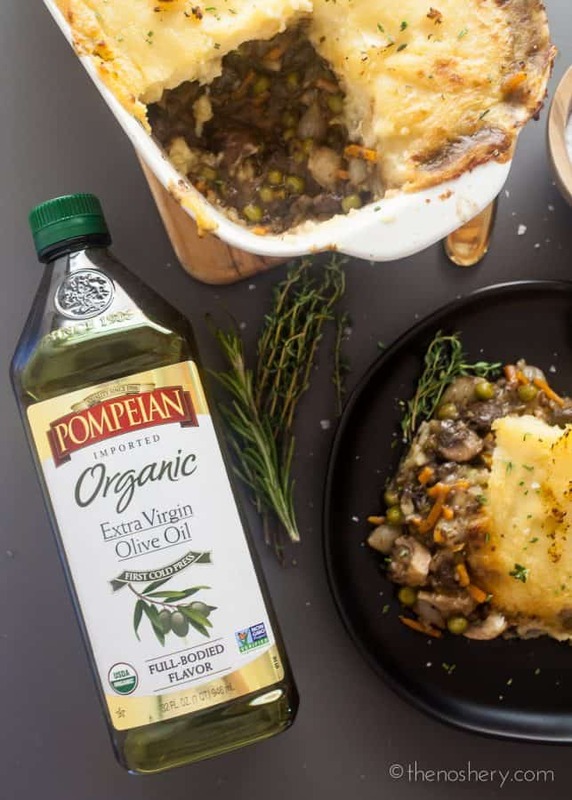 Wanting to meet the wishes of my health-conscious friends I used Pompeian Organic Extra Virgin Olive Oil in this recipe because I knew it would meet the standards that they treasure without sacrificing flavor. When preparing the filling it was important to me that I get a really flavorful gravy and creamy. First I basically made a duxelles with the mushroom stems. Duxelles is just a fancy way of saying mushrooms sautéed with onions, garlic, and herbs. 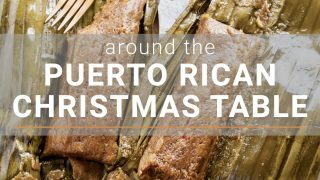 It can be prepared as a topping or used to make stuffing or sauce. I then added flour and Pompeian Organic Extra Virgin Olive Oil to make a roux. A roux is a mixture of fat and flour that will thicken the sauce. Finally, I slowly added red wine and vegetable stock until the gravy had a creamy consistency. I left the gravy on the thicker side because I knew that the added mushrooms and vegetable would add more liquid and thin the gravy. With the potatoes, you can go one of two ways. You can boil the potatoes or you can pressure cook them. I prefer to pressure cook the potatoes because they don’t get as waterlogged but either way is fine. A trick I was taught in culinary school is if you are boiling the potatoes boil them with the skin on. This helps minimize the amount of water the potatoes absorb, resulting in creamier mashed potatoes. They are done once you can pierce them with a fork. Then drain the potatoes and let them cool slightly. Using a clean kitchen towel and pairing knife gently peel the skin from the potatoes. The skin should lift easily from the potato. Place the potatoes in a large bowl with a fat of your choosing and using a hand mixer beat until creamy. What are some of your favorite hearty comfort dishes? And what are some of the ways you can customize them to meet your friend’s or family’s dietary needs? But don’t just tell me about them. Show me and Pompeian how you are experimenting with the latest food trends on Instagram. To share your latest on-trend creations using Pompeian, tag your photos with #TrendingintheKitchen. If you looking for inspiration or for tips on how to trend in the kitchen, visit Instagram.com/Pompeian or check out my healthy recipes collection. 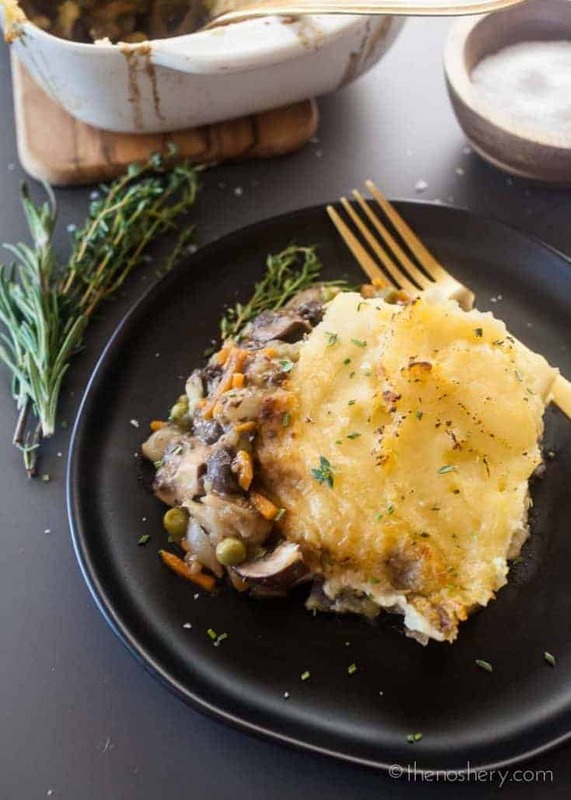 This vegan mushroom shepherd's pie had all the comfort of a traditional shepherd's pie. It's loaded with meaty mushrooms, carrots, onions, and peas in savory gravy. This pie will be loved by all! Place the peeled potatoes in an electric pressure cooker place and set for 20 minutes. Once done let the pressure release naturally before opening. If boiling the potatoes do not peel them, this will help keep them from absorbing too much water. Place the non-peeled potatoes in a medium-sized pot. Cover with at least an inch of cold water. Bring to a boil, reduce to a simmer, and cook until tender, about 20 minutes. Once they have cooled slightly using a clean kitchen towel and paring knife peel the skin from the potatoes. While the potatoes are cooking remove all the stems of the mushrooms and set them aside, they will be used later. Cut the mushroom caps into quarters and mince the mushroom stems. Heat 2 tablespoons of olive oil in a large heavy bottom pot on medium heat. Add the chopped onions and cook until tender, about 6 to 10 minutes. Add rosemary, thyme, and garlic and saute until fragrant, about 1 minute. Add minced mushrooms and cook, stirring, until mushrooms have softened and released their liquid, about 7 minutes. Add remaining olive oil and flour to the minced mushrooms, stir until paste forms. Add red wine to mushroom paste bring mixture to a boil and simmer gently until it has thickened slightly. Whisk in 1/2 cup of broth and return mixture to a simmer until it has thickened. Season with salt. Add remaining stock and bring again to a simmer until it has thickened. Stir in quartered mushrooms, peas and carrots, and pearl onions. Stir until well combined. Cover and let cook for 20 minutes, stirring occasionally. Uncover and let simmer for another 5 minutes. Transfer potatoes to a large bowl. Add vegan butter, kosher salt, and garlic powder. Using a hand mixer, mix the potatoes until creamy, set aside. 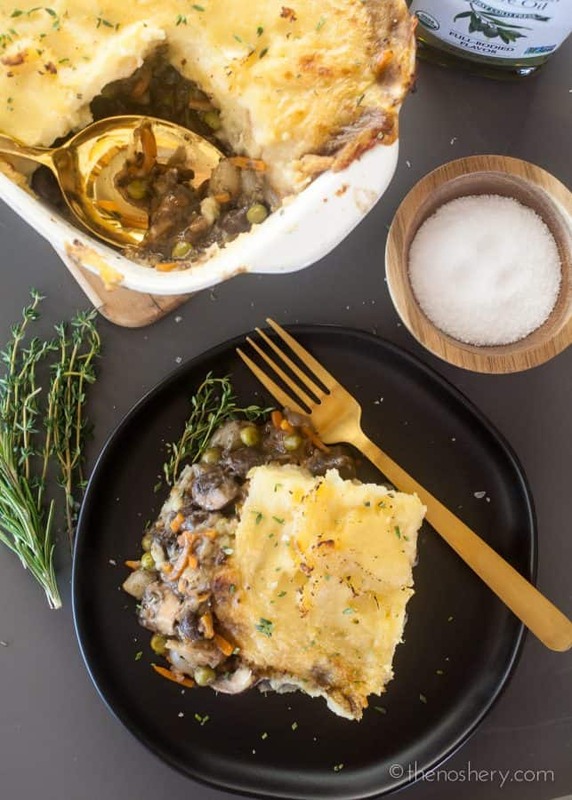 Spoon mushroom mixture into a 9 x 13 baking dish, gently spread mashed potatoes over mushroom mixture. Brush mashed potatoes with olive oil. Bake in the oven on a sheet pan for 40 minutes at 425 degrees, or until golden brown and bubbling. After having read your story about the creation of this recipe I decided I should test this on my husband who is also a meat eater. So I made it day before yesterday and he enjoyed it plus, oh yes, he went back for seconds. I did not have to make a vegan version, however, so I used “real” butter and topped the potato layer with grated cheese. It came out fantastic! The only thing that did not work out that well was transferring the individual pieces to the plates (they did not want to stay in shape; maybe I’ll use a bit of flour next time to make the mushroom paste a little thicker) but the taste was great. I don’t know what kind of mushrooms you used; I used regular brown button mushrooms. Since the stems would not suffice to make that “mushroom paste” I chopped part of the caps as well to have enough of a “base” for the mushroom part of the Pie. I have recommended your recipe to 2 of my colleagues who eat not meat. Thanks! Thank you! Just the recipe I needed today. Bought a lot of mushrooms to make another casserole (from a book I own, not yours) but after reading the recipe again thought it would be bland. Since I am feeling kinda sick Ib did not want to be tasting and adjusting flavors. Now, your recipe looks very tasty! That is very important to me since even if I halve the ingredients I will be eating Shepherd’s pie several times as I cook only for myself.